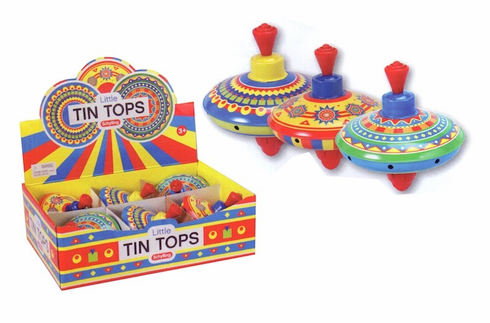 Colorful twirling classic tin top. Fun for all ages. Measures 5" diameter.